Robblee’s Total Security is commemorating a 100-year history of leadership, innovation, and reinvention. Tacoma, Washington—March 27, 2018— Robblee’s Total Security Inc., a prominent Washington state full-service, residential, commercial, and industrial security company is celebrating its 100th anniversary this year, joining an elite group of businesses that have withstood the test of time. 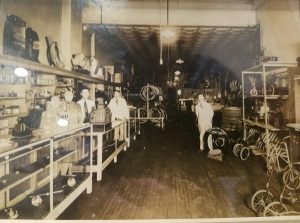 The company began in 1913, founded as J.A Robblee & Company by James A. Robblee and his brothers in a shop that sold and repaired tires for bicycles, and an exciting new invention—the automobile. In 1918, William A. Robblee, a locksmith, joined his five brothers, beginning a safe and lock division. The business continued to grow and in 1947, right after WWII, William H. and his son-in-law Thomas H.Patterson bought out the safe and lock division so it could more efficiently serve within the budding security industry. Their impressive and storied history includes securing everything from bank safes to speakeasies during Prohibition. More impressive, however, is how the company weathered time, surviving world events including five major wars and the Great Depression. 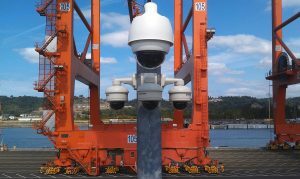 Robblee’s survived and thrived because it was preparing for today’s physical security industry from its inception, moving into access control and video surveillance in the 1980’s. “It takes more than resilience to survive more than a century. It isn’t just drive. In the physical security space especially, it takes a willingness to change and adapt. Hold on to your values. Hold onto your work ethic. But let go of what doesn’t work and embrace the things in your space that do,” Patterson advises others within the physical security industry. Patterson further recommends doing all you can to stay relevant. Today, Robblee’s Total Security is in its fourth generation of brothers running the business and devoted to meeting marketplace needs. About Robblee’s Total Security, Inc.
Robblee’s Total Security, Inc is a full-service residential, commercial, and industrial security company encompassing access control, video surveillance, intrusion alarm, professional locksmithing, and high- security key control. The company has served the Washington area with exceptional service for a century. For more information about Robblee’s Total Security, call 253.627.5448 or email president@robblees.com.